Keanu Reeves is that special breed of actor who does not have a whole lot of range, but who shines like a supernova when given the right role. If we're lucky, John Wick might be just that kind of role. Reeves plays a former hitman in search of bloody vengeance after Theon Greyjoy and his Russian mafia friends steal his Mustang and murder his beagle, seemingly by punching it to death. I was supposed to be a beagle. I like to think that Keanu Reeves would avenge me too. Watching Reeves kill dozens of people over a dead dog sounds AMAZING, but when you through in Willem Dafoe, Ian McShane, Adrianne Palicki, John Leguizamo and Lance Reddick's Accent, well I'm positively intrigued. 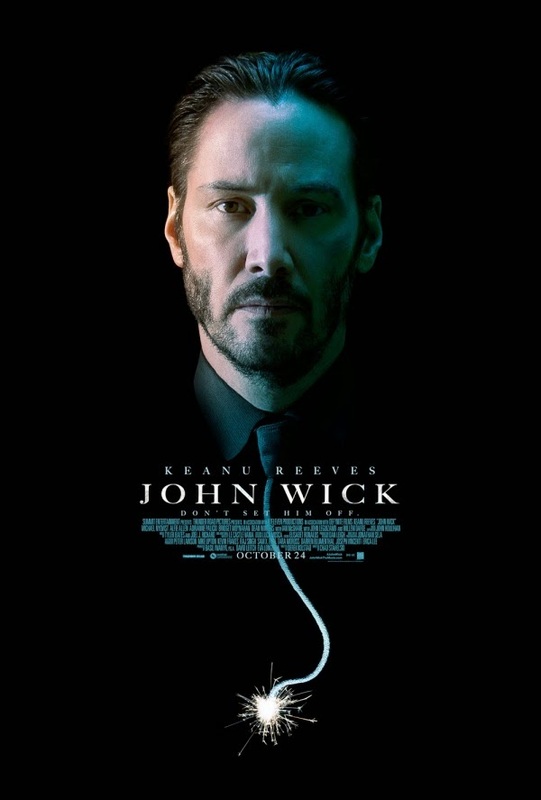 This trailer gets bonus points for turning "Wick" into "Wicked," which I chose to interpret not as an adjective one might use to describe a witch, but as the verbal form of the name Wick. I now expect Reeves to glower at a room full of goons at some point and yell, "Prepare to get Wicked!" Director Chad Stahelski is a prolific stunt guy, having worked on the Matrix films, Serenity and Catching Fire, for which he also served as second unit director. John Wick is his directorial debut and I hear the flick is a preposterous amount of fun. I really wish I could see it at Fantastic Fest next week. I imagine it'll play like gangbusters down in Austin. Sidenote: Can we all just agree to stop titling movies with generic dude names? How have studio marketing departments not figured this out yet?